Ansley Park is one of Atlanta’s most desirable neighborhoods. But in one mansion, in a teenager’s lavish bedroom, a girl has been savagely murdered. 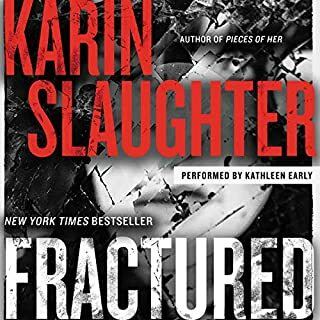 In the hallway, her horrified mother stands amid shattered glass, having killed her daughter’s attacker with her bare hands. Detective Will Trent of the Georgia Bureau of Investigation is here only to do a political favor; the murder site belongs to the Atlanta police. But Trent soon sees something the cops are missing, something in the trail of blood, in a matrix of forensic evidence, and in the eyes of the shell-shocked mother. 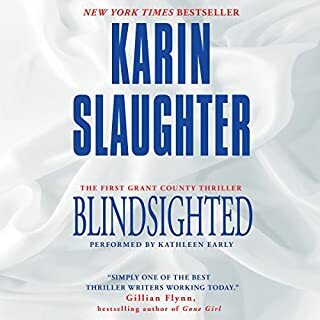 Karin Slaughter's new thriller is an epic tale of love, loyalty, and murder that encompasses 40 years, two chillingly similar murder cases, and a good man's deepest secrets. Flash back nearly 40 years. 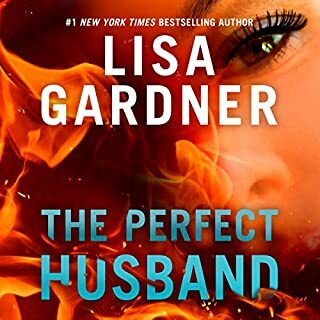 In the summer Will Trent was born, Amanda Wagner is taking her first steps in the boy's club that is the Atlanta police department. One of her first cases is to investigate a brutal crime in one of the city's worst neighborhoods. Amanda and her partner, Evelyn, are the only ones who seem to care if an arrest is ever made. Now the case that launched Amanda's career has suddenly come back to life, and it is intertwined with the long-held mystery of Will's birth and parentage. And they will each need to face down demons from the past if they are to prevent an even greater terror from being unleashed on Atlanta today. I loved this! Great origin story to explain Will and his boss' complex relationship. Also an inspiring tale of women paving the way in the traditionally male dominated field of homicide. I may have shed a tear for Amanda's role in Will's professional success. Also, this narrator is by far the best one for this series. 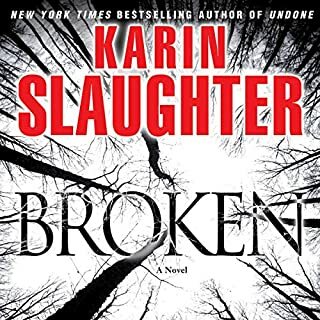 For Karin Slaughter fans, this book provides the "backstory" for critical recurring characters, including revelation of the links that are implied in previous books, but not defined. This particular tale, bouncing back and forth from past to present, does a wonderful job of more fully developing the players we thought we knew. And, of course, the reader also is hooked into following the search, through time, for a heinous killer. Narration is excellent. I like to finish the "listening" and, in talking about the book to others, can't remember whether it was one I read or enjoyed on Audible! This book does not disappoint. 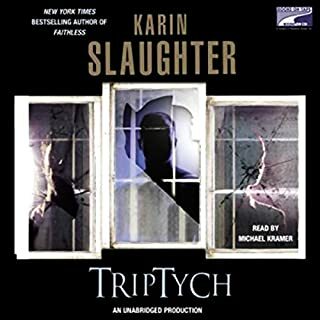 I think that I've read or listened to most of Slaughter's books, and this one has to be one of the most bone-chilling. I am enjoying the progression of Will's story, and hints that Sara's future in the books is assured. I have to admit, after being thrown Amanda in her iron/steel character, it was really hard to reconcile hearing her as a young, uncertain rookie. I had dropped this series for a while, and now I'm glad that I picked it back up again. I will be keeping an eye out for the next one. My heart is still thumping as I pull my mind back from the dark recesses where it has been dwelling the past 15 hours...this is the stuff from which nightmares are borne. 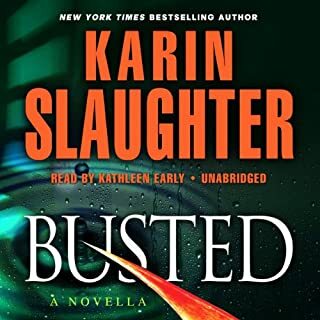 Karin Slaughter is one of our best. With her crackling originality and vivid details, she once again creates characters and events that you think could be out your own newspaper - and pray they aren't. 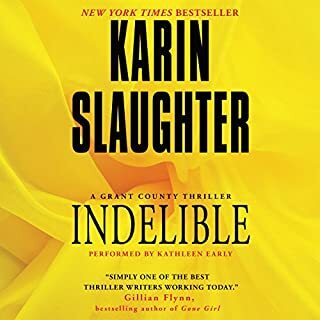 Followers of Slaughter will recognize this as part of the Will Trent series, something I did not know; there was no mention of "series" in the publisher's summary. But this story easily stands on its own and should not be passed by if you are worried about sequence. I speak from experience: I noticed that I'd read 2 of the books years ago and had no idea they were a series. With that said, I'm sure there is information that would have been good to have, and I am tinged green with envy of the devout followers of the Will Trent books; I can only imagine the great satisfaction this long awaited tell-all will bring to them. (I'm even considering picking up the between rerads, here's the order: Triptych, Fractured, Undone, Broken, Fallen, & Criminal). Detective Will is baffled when his hard-nosed boss Amanda restricts him from the case of a missing girl. 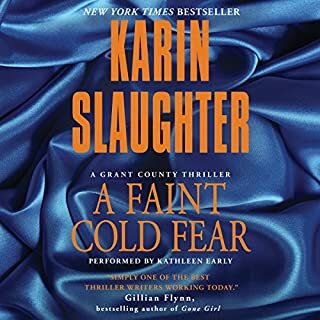 To Amanda, there is something eerily familiar and threatening with this case, and when the brutalized bodies start to show up, she knows she is on a collision course with Will -- a collision full of dark secrets that has been 40 years in the making --and she isn't sure she wants to reveal the answers. 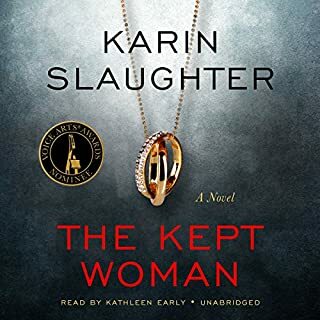 "Sometimes it's criminal what a woman has to do..."
One of the great mechanisms Slaughter uses is starting this book with a quiet prelude of sorts, a reverent requiem. She introduces us to Lucy,we witness her -- the young daughter full of promise, the little sister, the insecurities and drug use to control her adolescent weight -- we watch her downward slide -- the predictable addiction, string of abusive boyfriends, and eventual plunge into prostitution. Slaughter creates a human being; Lucy is a person rather than just another wretched addicted prostitute. This approach creates an emotional bond to the victims, and explains deputy director Amanda's bulldog determination, and humanity. The story is told in a series of flashbacks, back to the 70's when Amanda was a novice detective, fighting her first case, pitted against a squad of resentful sexist males that don't want the girls around. (Remember "male chauvanist pig"?) 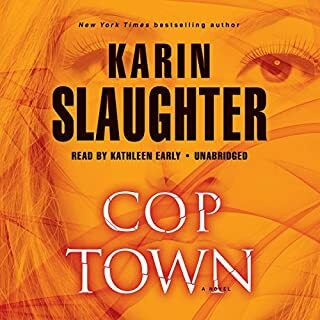 The resistance is abussive and hard edged.The men crassly refer to she and her partner as the "slits", and at one point, when the ladies call in for back-up on Cherry Street, the male dispatcher remarks, "What's that? You want to give me your cherry." This treatment, plus the horror she witnesses in her first case bely how tough Amanda will have to become. 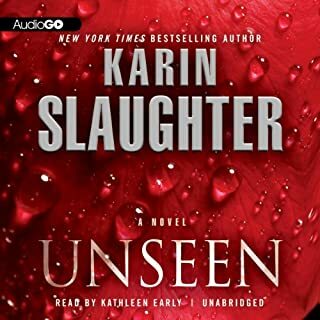 I couldn't put my earbuds down--the pace was exhilarating, the execution of the narration very very good. Though harsh, I don't recall a lot of foul language, but the intense scenes may have kept my mind from noticing particular words. The flashbacks help build some backstory and character development for those just jumping into this story, but you have to pay close attention or you can lose track of which era you're in. If like me, you've been craving a smart thriller, and you don't mind a few nightmares, this may be your book. Highly recommend to fans of hard- hitting criminal thrillers. I pretty much devoured the Will Trent books. 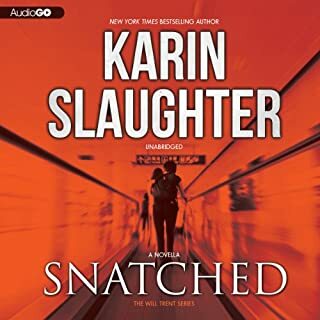 Slaughter is really good...I mean wow, she is so descriptive and really masterful at weaving the lives of the main characters throughout the series. My only beef is that...the narrator of Fallen was horrible. I didn't quite care for the change-up from a male to female voice in the earlier books but could understand why the change was necessary in conjunction with the themes and central story tellers in each book. It was the change from one woman to another woman between Broken and Fallen...I really didn't like that at all. 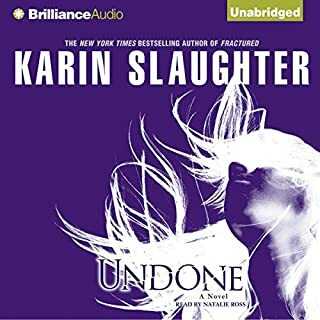 Natalie Ross (Undone and Broken) was so good at switching from male to female tone which was really important to understand the dialogue between Will and Faith or Will and Amanda, etc., Ross nailed Trent's voice so perfectly and then Shannon Cochran ruins it all in Fallen, which happens to be my least favorite of the series...I wonder why??? Still not as good as Ross, Kathleen Early (Criminal) was leaps and bounds better than Cochran. Criminal is an amazing book...almost nothing could ruin it. Great series. 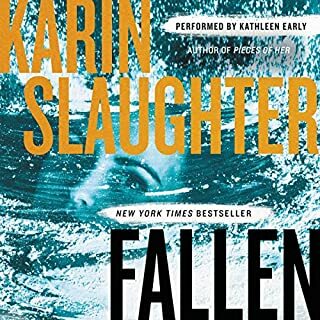 While I haven't yet read any of the previous books in the "Will Trent" Triptych, I have been intrigued by his character in other books ("Fallen" and "Undone"). Ms. 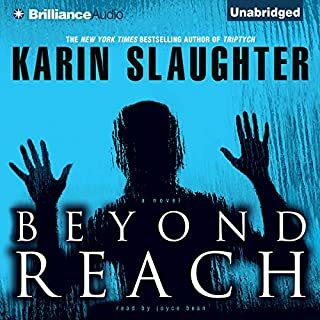 Slaughter is masterful in revealing the mystery of Will's past, slowly but inexorably leading the listener/reader to a horrifying discovery. The compassion extended toward Will by Sarah Linton is lovely and believable. The story of Amanda Wagner and Evelyn Mitchell's early days as detectives in a misogynistic police department rings true. Set in 1974 and 1975, this part of the book is woefully believable. Nothing in the book is too soft, nor does anything feel contrived. Perhaps the "detecting" part of the story is a bit too convoluted but it all hangs together. 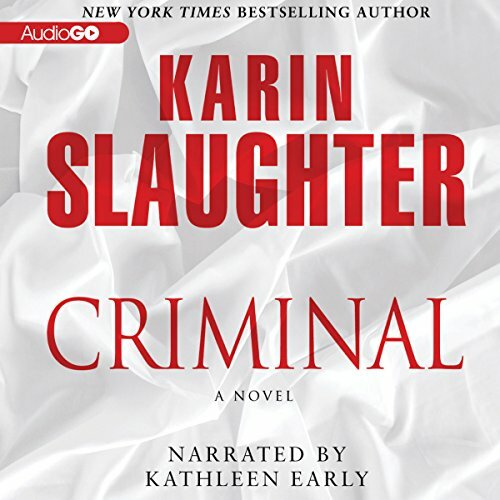 The last words are cliff hangers... Kathleen Early is an excellent narrator. All in all, highly recommended. Not listening to this is a crime! I had my reservations about this one, but boy am I glad I took the plunge. Criminal kept me up late for 2 nights! The first experience in an autopsy had me believing I was there. Incredible writing. Equally great performance by Kathleen Early. Best of all was the mystery itself. I just can't see how this needs any improvement. 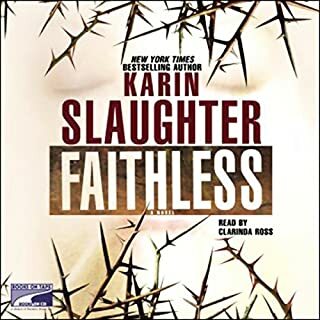 Thank you Audible, Ms Slaughter and Ms Early! So Depressed Its Over! Fantastic! What a great book. Never ending storyline, past & present with lots of twists & turns. Brilliantly written & preformed. An endearing love story in the mix, emphasizing that good people will embrace your life & push out the evil it you let them. Grady Memorial Hospital, slums of Atlanta, drugs and poor little rich girls gone bad . . . and the scum of the earth that use them, abuse them . . . If you've ever been in and around Atlanta, you will recognize these places and the faceless women that haunt the "red light district". Even their own families wash their hands of these girls. 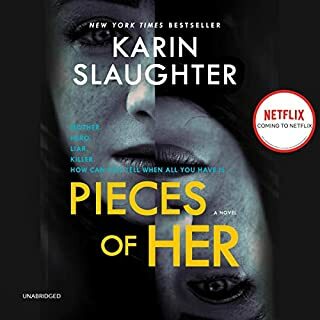 This audiobook is chilling, frightening and like another listener said, best anti-drug campaign ever. It's more though. It's tough love, healing from the worst of circumstances. 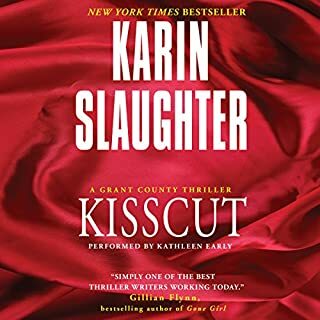 The book has so many twists and turns; it's a great listen. Don't miss it. Loved this story. I couldn't stop listening. Fortunately I was on a long road trip and it kept me engaged the entire trip. The narrator did an awesome job. Her voices were believable and even with male voices it was easy to "see" the characters. I loved hearing the backstory and Will and Amanda's lives. I've already recommended this book to several friends. Put your big girl pants on for this one! This one took some intestinal fortitude - - I literally listened to parts of it while squirming in discomfort. But, even given that, she's such a good writer and the characters so interesting you cannot help but to appreciate and excellent writing style. The characters are facing down their pasts and, like so many of us as we face the future, willing to risk everything to make what has happened to us palatable. I did at one point worry that this was the case where a woman writer was deliberately overly graphic so she could be one of the "boys," but I realized that I was being sexist and unfair since violence and evil don't give much regard for gender, and the author was being true to the story. Good for you, sister. The narrator is also first rate and subtly changed the voices to make the story really flow smoothly. I hadn't a clue this was part of a series and didn't miss any references because of it. I will, however (after I screw up some more courage), listen to more of this author's works.